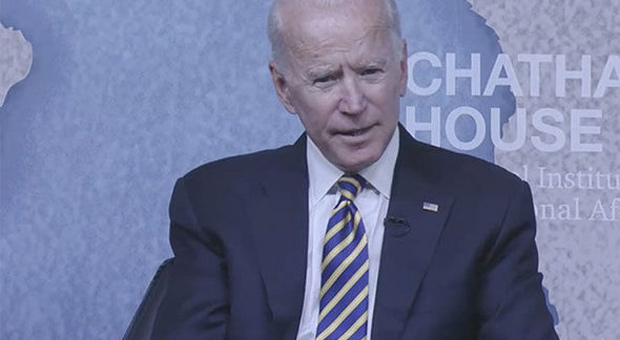 Former US vice-president Joe Biden has insisted that t Vladimir Putin's ultimate goal is to destroy Nato and the European Union, during his speech at Chatham House, UK. 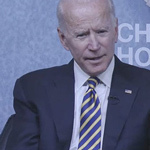 Biden, who has been flirting with challenging US President Donald Trump in 2020, also attacked "charlatans and demagogues" who he accused of stoking bigotry in the UK and the US. Biden said: "The Russians are using every tool at their disposal to destabilize and sow discord. 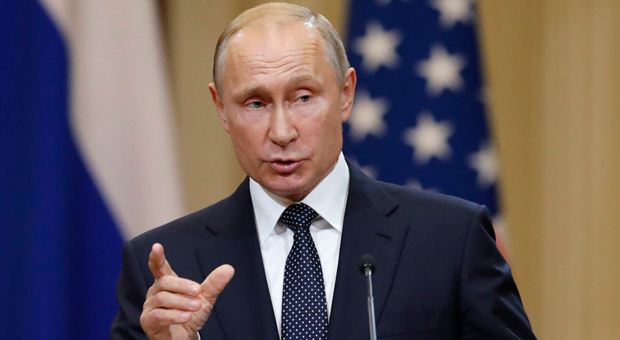 "Putin's ultimate goal in my view is the dissolution of NATO and the European Union rather than the re-establishment of the Soviet Union. "He would rather deal with individual nations he can try to strong-arm than a unified, democratic west." According to the Express: Referring to the "special relationship" between the US and the UK, Mr Biden, who met with Theresa May on Tuesday, also expressed disquiet at the process of Brexit, which he said he would have voted against had he been a UK citizen. He explained: "US interests are diminished when the US is not an intergral part of Europe." 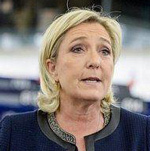 "The democracy, freedom and openness which we cherish is under threat from within and from without by the siren calls of phony nationalism, populism and xenophobia which exists in many western democracies today, including the UK and the US. "Demogogues and charlatans, and we have many of them, step up to pray on people's fears, stoking prejudices, confident that they can provide incomplete, distorted information." Basic values were being shredded, he said, with the rise of the so-called alt-right a particular cause for concern. He also highlighted a "winner takes all" mentality in the US which was making consensus extremely difficult to reach. Mr Biden said the western democracies therefore had to prove the value of the "democratic model" once again - a process he characterised as a "contest for the future". 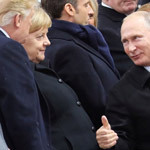 Discussing NATO specifically, he lamented the tendency to treat the alliance like a "protection racket" – a possible reference to Mr Trump's comments about the organisation and his demands for member states to pay in more money. Mr Biden pointedly avoided mentioning the President by name throughout his address, delivered on Wednesday. However, pressed about his own political ambitions in a question-and-answer session, the 75-year-old, who opted not to run in 2016 because his son was terminally ill, was bullish about the prospects of a Democractic party candidate ousting the New York billionnaire. He said: "I think there are many people in the Democractic party who can defeat President Trump. 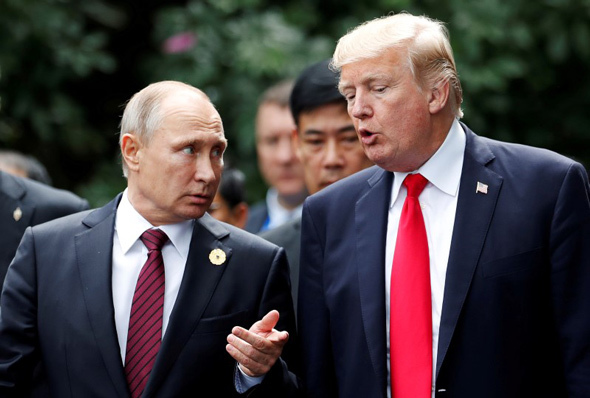 "Not a single aspiring candidate that I can think of, and I am not one of them at this point, does not have a better understanding of foreign policy than President Trump. "I'm not being particularly partisan here – the President has acknowledged from the outset that he did not now a lot about foreign policy. "He said he watched the news though I think he being more and more informed out of necessity. "But I think there are any number of potential candidates seeking the nomination, from Kamala Harris and a full range of people in my party who would pursue a much more enlightened foreign policy than President Trump."